Here's a fun but depressing Saturday afternoon fact: taking and sharing photos of the Eiffel tower at night is a copyright violation that could land you with a hefty fine (not that it's stopped the selfie-snapping masses, of course). Torrent Freak explains that although the building itself is in the public domain, the light show that illuminates it at night is an artistic work, and as such 'reproducing' it (i.e. snapping a photo) would require the permission of the artist. It's the same law that stops you from filming a theatre show, just taken to a slightly absurd extreme. 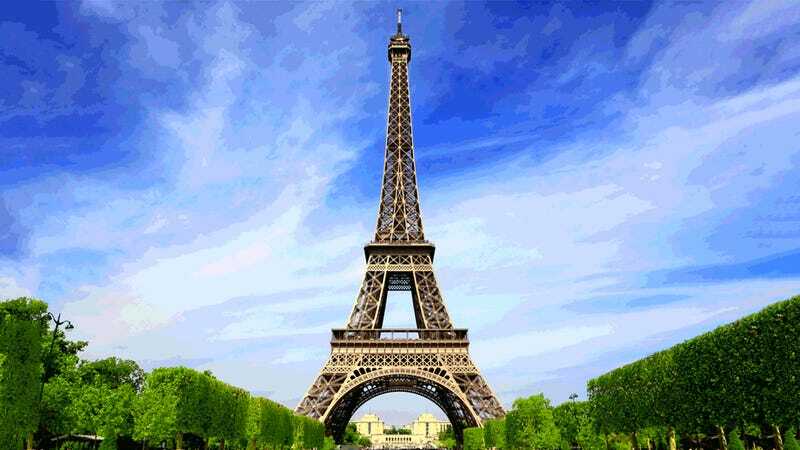 It's not just a theory, either: the website for the commercial use of the tower confirms that "the usage of these images is subject to prior request from the Société d'Exploitation de la Tour Eiffel."